WASHINGTON, DC--(Marketwired - September 22, 2015) - Local flower shop Palace Florists, in business since 1943, will be providing the flowers for Pope Francis' visit to the Basilica of the National Shrine of the Immaculate Conception on Wednesday, September 23rd. The family-owned and operated flower shop said they are honored to provide the flowers celebrating the Holy Father's visit as well as the Canonization Mass of Blessed Junipero Serra, the first canonization to take place on American soil. As the Washington, D.C. area prepares for the papal visit on Wednesday, one local flower shop is hard at work preparing the flowers for the celebration. Palace Florists, located at Dupont Circle, will have the honor of preparing the flowers that will be used during Pope Francis' visit to the Basilica of the National Shrine of the Immaculate Conception. "We're incredibly honored to provide the flowers for the Holy Father's visit," said store President, Lee Herman, the third generation of his wife's family to own the store that has been open since 1943. "Papal visits don't happen often, and it is very special to be a part of the historical day." The flowers will be present for the Canonization Mass of Blessed Junipero Serra, a Spanish Franciscan friar who founded nine of the 21 missions in southern California with the goal of bringing the Catholic faith to the native people. This canonization will be the first ever on American soil. Palace Florists provided the flowers for the last papal visit as well, by Pope Benedict in 2008 as he also visited Washington, D.C. The store says it is a special honor to be chosen to provide the flowers again. "We put a special effort into every arrangement we send out the door," said Herman. "This commitment to excellence in everything we do is what brought us this opportunity to provide the flowers for another papal visit. We're looking forward to doing it for the next visit, as well." Pope Francis will hold the Canonization mass of Blessed Junipero Serra at the Basilica of the National Shrine of the Immaculate Conception at 4:15pm on Wednesday, September 23rd. You can visit Palace Florists at their location at 1305 19th Street, NW in Washington D.C. or visit their online store at www.palaceflorists.com. 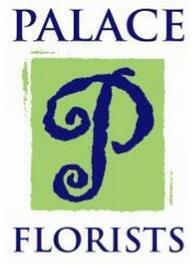 Palace Florists is a third generation, family-owned and operated florist. The floral shop has been in operation since 1943 and has built a reputation of exceeding their customer's expectations. They offer floral arrangements, roses, potted plants, weddings and more. Their staff offers suggestions on the perfect gift to help senders convey their message and work with a network of preferred florists around the country to ensure timely delivery and excellent customer service.